The Movie Sleuth: Videos: Will Disney CHANGE Han Solo’s Origins For Solo: A Star Wars Story? 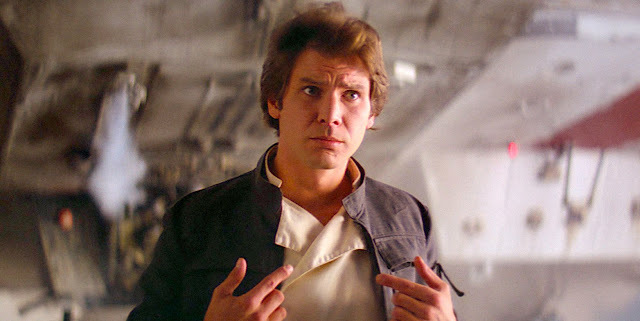 Videos: Will Disney CHANGE Han Solo’s Origins For Solo: A Star Wars Story? This is a new video from Screen Rant that discusses whether Disney will changes Han Solo's origins for Solo: A Star Wars Story. The first trailer just recently came out and besides seeing the first footage from the film, we don't know a whole lot about the plot. But, from watching the footage we can can conclude that some of his origin story will likely be changed by Disney. Check out the video below to see what might be changed.